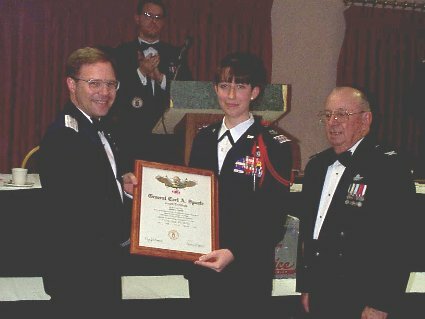 Spaatz #80 Brig Gen Jim Jaeger, USAF (Ret) presents C/Col Jamie Foote with Spaatz Award #1329 at the Indiana Wing (?) Conference. Jamie also received INWG Cadet of the Year honors.